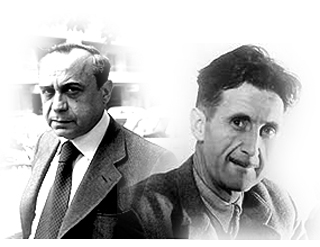 This imaginary interview between Leonardo Sciascia and George Orwell happened at the Savoy hotel in London on the 20 November 1949, the day which remembers Leonardo Sciascia’s date of death which occurred 40 years later in 1989. What did they talk about? Well, about almost everything. From language to literature, communism to clowns, fascism to fashion and furniture to fishing to mention but a few topics. It is perhaps this wide ranging element which makes the book so interesting to read! Several times the English writer replies to the Italian intellectual, asking other questions, as if in a clever game, adding questions to questions. Whoever reads this essay will try to answer these questions which contain a striking social complexity and invite us to consider our presence in contemporary society with the immortal sentiment of brotherhood in order to alleviate the sufferance of poor and destitute people. The author of this essay highlights the importance of the past and the fact that history must be studied in depth. This imaginary conversation between Sciascia and Orwell proposes the atmosphere of the early post Second World War years and warns us against the danger of a society of automatons who have lost every trace of individuality, love and critical thought. It is a denunciation both against totalitarianism and the abuse of power by the politicians. Introducing George Orwell’s life and works, through the magnifying glass of the Italian scholar, Leonardo Sciascia, has been a practical example in order to stress how much literature is universal and belongs to all mankind. This original text in English has been revised by Prof. Dave Paul Bollard. Antonio Arrigo was born in Palermo in 1958. He is married. 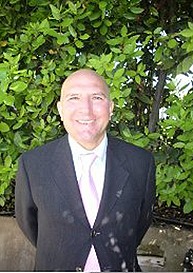 He is the father of one daughter, Paola and a son, Marco. He earned his degree in “Languages and Foreign Literatures”. He lives and works in Sardinia. He has also published: “La Mia Gallura”, “My Gallura”, “Prova d’autore”, “Mistero a Osilo”, “Mystère à Osilo”, “Zio Leonardo conversa con nonno George”, “Uncle Leonardo Talks to Grandfather George”, “Zia Maria Assunta”. This entry was posted on 12 September, 2013 in homepage and tagged Antonio Arrigo, automatons, Critical thought, Fascism, George Orwell, Individualism, Leonardo Sciascia, literature, politics. Bookmark the permalink.